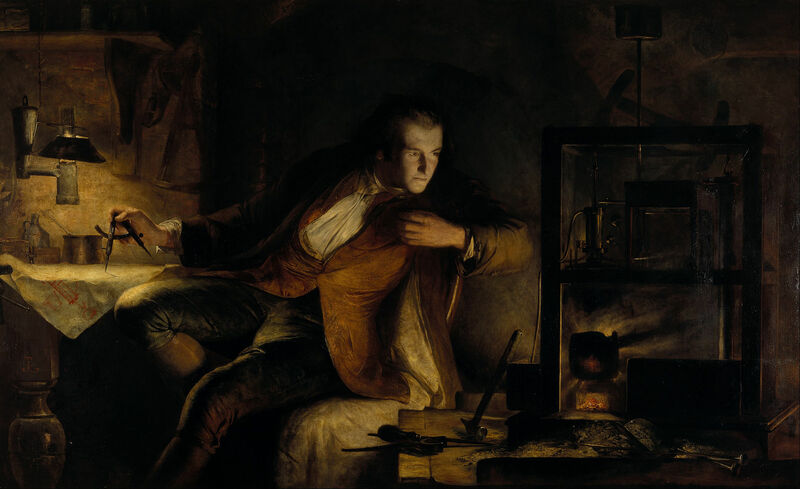 Today is the birthday (1736) of James Watt whose improvements of the steam engine were critical in the development of the Industrial Revolution in Britain. He did not, as many believe, invent the steam engine, but his (many) improvements were monumentally important. He also had a hand in other, less well known, inventions. He was born in Greenock, Renfrewshire on the Firth of Clyde. His father was a shipwright, ship owner and contractor, and served as the town’s chief baillie, while his mother, Agnes Muirhead, came from a distinguished family and was well educated. Watt’s grandfather, Thomas Watt, was a mathematics teacher and baillie to the Baron of Cartsburn. Watt did not attend school regularly; initially he was mostly schooled at home by his mother but later he attended Greenock Grammar School. He exhibited great manual dexterity, engineering skills and an aptitude for mathematics, while Latin and Greek failed to interest him. He is said to have suffered prolonged bouts of ill-health as a child. When he was 18, his mother died and his father’s health began to fail. Watt travelled to London to study instrument-making for a year, then returned to Scotland, settling in Glasgow intent on setting up his own instrument-making business. He made and repaired brass reflecting quadrants, parallel rulers, scales, parts for telescopes, and barometers, among other things. Because he had not served at least seven years as an apprentice, the Glasgow Guild of Hammermen (which had jurisdiction over any artisans using hammers) blocked his application, despite there being no other mathematical instrument makers in Scotland. Watt was saved from this impasse by the arrival from Jamaica of astronomical instruments bequeathed by Alexander Macfarlane to the University of Glasgow, instruments that required expert attention. Watt restored them to working order and was remunerated. Subsequently three faculty members offered him the opportunity to set up a small workshop within the university in 1757. 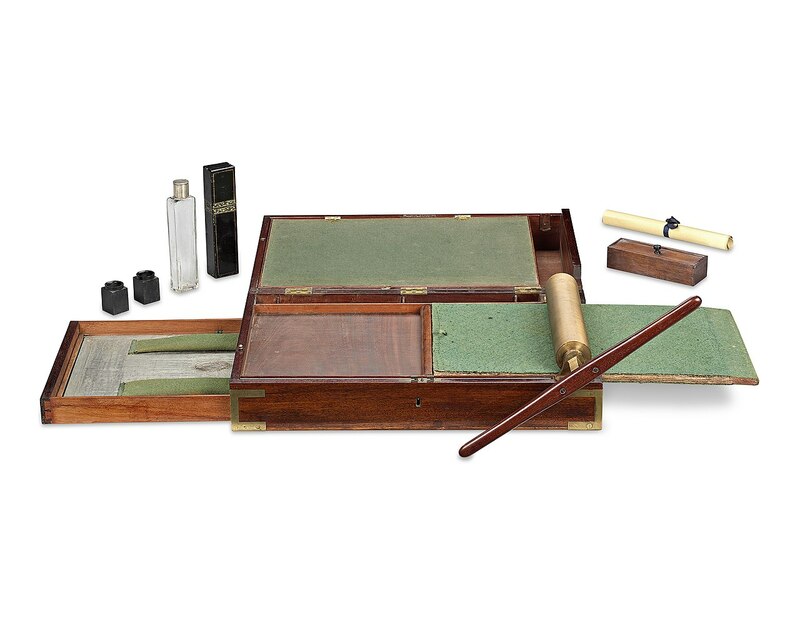 At first Watt worked on maintaining and repairing scientific instruments used in the university, helping with demonstrations, and expanding the production of quadrants. In 1759 he formed a partnership with John Craig, an architect and businessman, to manufacture and sell a line of products including musical instruments and toys. This partnership lasted for the next 6 years, and employed up to 16 workers. Craig died in 1765. One employee, Alex Gardner, eventually took over the business, which lasted into the 20th century. There is a popular story that Watt was inspired to invent the steam engine by seeing a kettle boiling, the steam forcing the lid to rise and thus showing Watt the power of steam. This story is told in many forms; in some Watt is a young lad, in others he is older, sometimes it’s his mother’s kettle, sometimes his aunt’s. 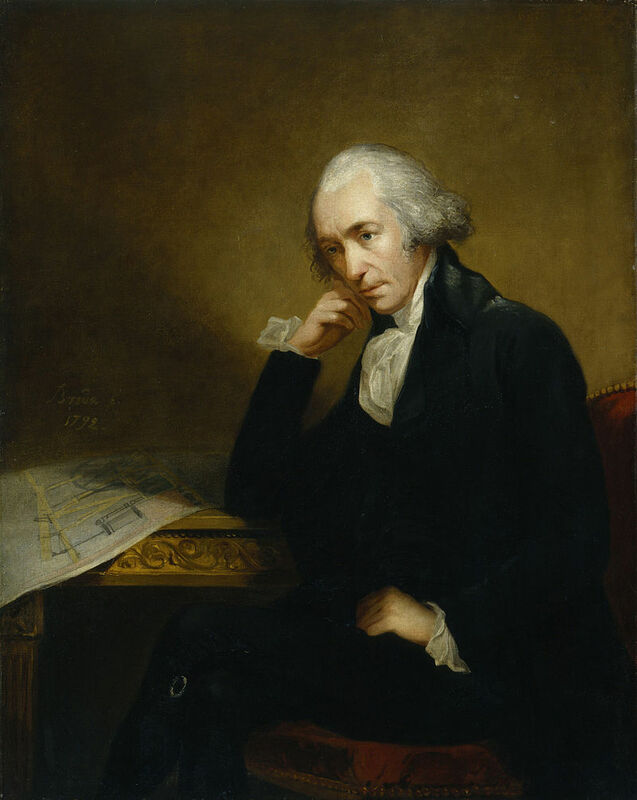 James Watt of course did not actually invent the steam engine, as the story implies, but dramatically improved the efficiency of the existing Newcomen engine by adding a separate condenser. It appears that the story of Watt and the kettle was created, possibly by Watt’s son, and persists because it is easy for children to understand and remember. In this light it can be seen as akin to the story of Isaac Newton, the falling apple and his discovery of gravity. 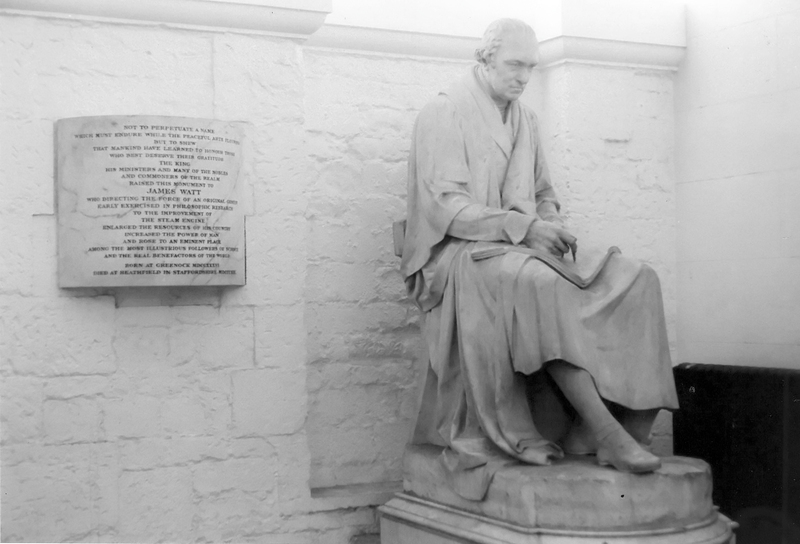 Although it is often dismissed as a fable, the story of James Watt and the kettle has a basis in fact. 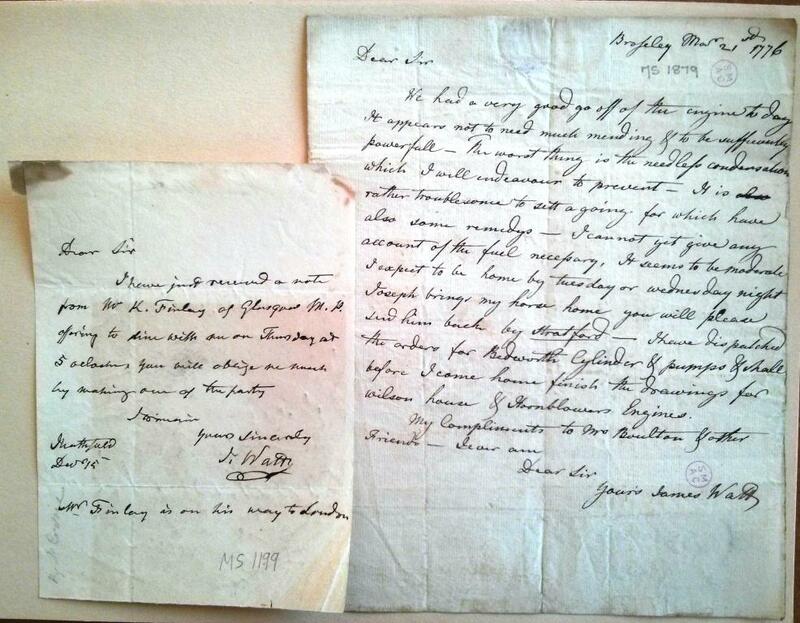 In trying to understand the thermodynamics of heat and steam James Watt carried out many laboratory experiments and his diaries record that in conducting these he used a kettle as a boiler to generate steam. In 1759 Watt’s friend, John Robison, called his attention to the use of steam as a source of motive power. 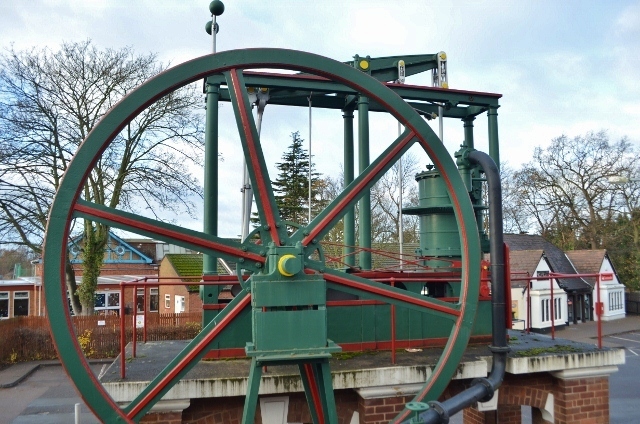 The design of the Newcomen engine, in use for almost 50 years for pumping water from mines, had hardly changed from its first implementation. Watt began to experiment with steam, though he had never seen an operating steam engine. He tried constructing a model; it failed to work satisfactorily, but he continued his experiments and began to read everything he could about the subject. He came to realize the importance of latent heat—the thermal energy released or absorbed during a constant-temperature process—in understanding the engine, which, unknown to Watt, his friend Joseph Black had previously discovered some years before. Understanding of the steam engine was in a very primitive state, because the science of thermodynamics would not be formalized for nearly another 100 years. 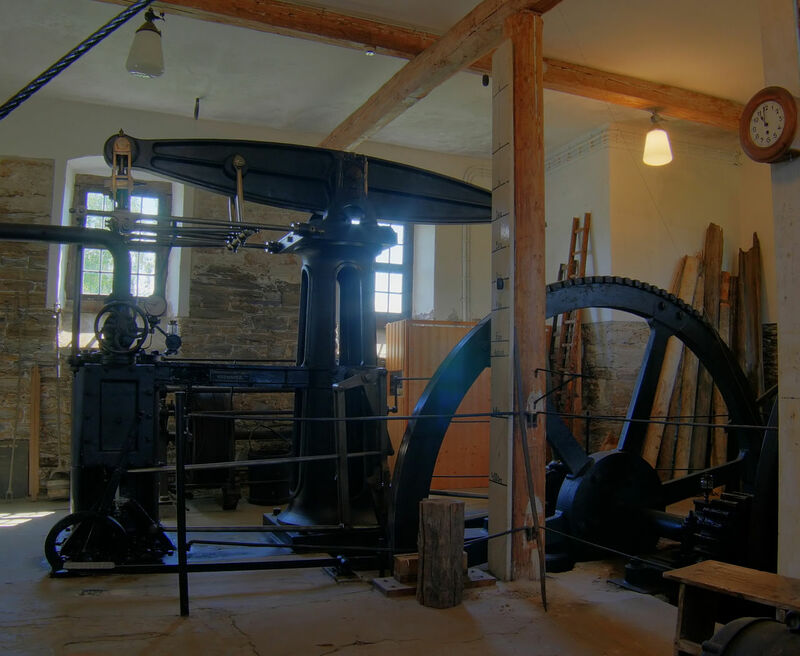 In 1763, Watt was asked to repair a model Newcomen engine belonging to the university. Even after repair, the engine barely worked. After much experimentation, Watt demonstrated that about three-quarters of the thermal energy of the steam was being consumed in heating the engine cylinder on every cycle. This energy was wasted because later in the cycle cold water was injected into the cylinder to condense the steam to reduce its pressure. Thus, by repeatedly heating and cooling the cylinder, the engine wasted most of its thermal energy rather than converting it into mechanical energy. Watt’s critical insight, arrived at in May 1765, was to cause the steam to condense in a separate chamber apart from the piston, and to maintain the temperature of the cylinder at the same temperature as the injected steam by surrounding it with a steam jacket. Thus very little energy was absorbed by the cylinder on each cycle, making more available to perform useful work. Watt had a working model later that same year. Despite a potentially workable design, there were still substantial difficulties in constructing a full-scale engine. This required more capital, some of which came from Black. More substantial backing came from John Roebuck, the founder of the celebrated Carron Iron Works near Falkirk, with whom he now formed a partnership. Roebuck lived at Kinneil House in Bo’ness, during which time Watt worked at perfecting his steam engine in a cottage adjacent to the house. The shell of the cottage, and a very large part of one of his projects, still exist to the rear. The principal difficulty was in machining the piston and cylinder. Iron workers of the day were more like blacksmiths than modern machinists, and were unable to produce the components with sufficient precision. Considerable capital was spent in pursuing a patent on Watt’s invention. Strapped for resources, Watt was forced to take up employment—first as a surveyor, then as a civil engineer—for eight years. Roebuck went bankrupt, and Matthew Boulton, who owned the Soho Manufactory works near Birmingham, acquired his patent rights. An extension of the patent to 1800 was successfully obtained in 1775. Through Boulton, Watt finally had access to some of the best iron workers in the world. 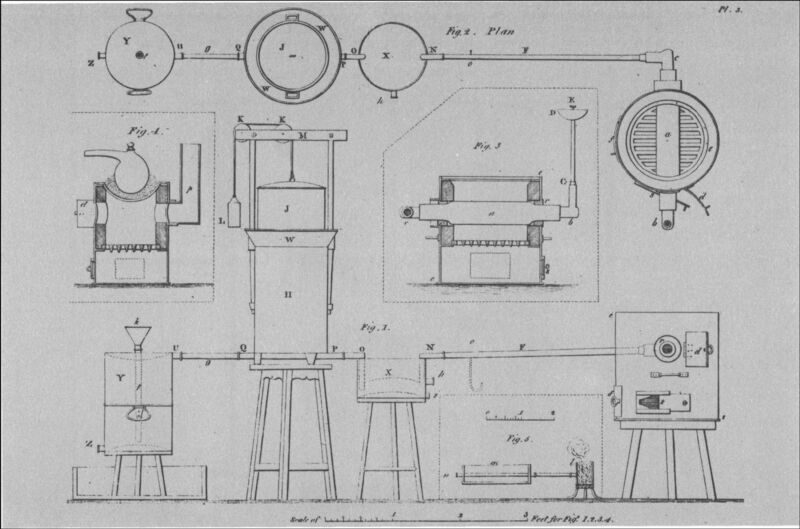 The difficulty of the manufacture of a large cylinder with a tightly fitting piston was solved by John Wilkinson, who had developed precision boring techniques for cannon making at Bersham, near Wrexham, North Wales. Watt and Boulton formed a hugely successful partnership, Boulton and Watt, which lasted for the next 25 years. In 1776, the first engines were installed and working in commercial enterprises. These first engines were used to power pumps and produced only reciprocating motion to move the pump rods at the bottom of the shaft. The design was commercially successful, and for the next 5 years Watt was busy installing more engines, mostly in Cornwall for pumping water out of mines. These early engines were not manufactured by Boulton and Watt, but were made by others according to drawings made by Watt, who served in the role of consulting engineer. The installation of the engine and its shakedown was supervised by Watt, at first, and then by men in the firm’s employ. These were large machines. The first, for example, had a cylinder with a diameter of 50 inches and an overall height of about 24 feet, and required the construction of a dedicated building to house it. Boulton and Watt charged an annual payment, equal to one third of the value of the coal saved in comparison to a Newcomen engine performing the same work. The field of application for the invention was greatly widened when Boulton urged Watt to convert the reciprocating motion of the piston to produce rotational power for grinding, weaving and milling. Although a crank seemed the obvious solution to the conversion Watt and Boulton were stymied by a patent for this, whose holder, James Pickard, and associates proposed to cross-license with the external condenser. Watt adamantly opposed this and they circumvented the patent by their sun and planet gear in 1781. Over the next 6 years, Watt made a number of other improvements and modifications to the steam engine. A double acting engine, in which the steam acted alternately on the two sides of the piston was one. He described methods for working the steam “expansively” (i.e., using steam at pressures well above atmospheric). He also developed a compound engine, which connected two or more engines. Two more patents were granted for these in 1781 and 1782. Numerous other improvements that made for easier manufacture and installation were continually implemented. One of these included the use of the steam indicator which produced an informative plot of the pressure in the cylinder against its volume, which he kept as a trade secret. Another important invention, one which Watt was most proud of, was the parallel motion which was essential in double-acting engines as it produced the straight line motion required for the cylinder rod and pump, from the connected rocking beam, whose end moves in a circular arc. This was patented in 1784. A throttle valve to control the power of the engine, and a centrifugal governor, patented in 1788, to keep it from “running away” were very important. These improvements taken together produced an engine which was up to five times as efficient in its use of fuel as the Newcomen engine. Because of the danger of exploding boilers, which were in a very primitive stage of development, and the ongoing issues with leaks, Watt restricted his use of high pressure steam – all of his engines used steam at near atmospheric pressure. Edward Bull started constructing engines for Boulton and Watt in Cornwall in 1781. By 1792 he had started making engines of his own design, but which contained a separate condenser, and so infringed Watt’s patents. Two brothers, Jabez Carter Hornblower and Jonathan Hornblower also started to build engines about the same time. Others began to modify Newcomen engines by adding a condenser, and the mine owners in Cornwall became convinced that Watt’s patent could not be enforced. They started to withhold payments due to Boulton and Watt, which by 1795 had fallen. Of the total £21,000 (equivalent to £1,990,000 as of 2016) owed, only £2,500 had been received. Watt was forced to go to court to enforce his claims. He first sued Bull in 1793. The jury found for Watt, but the question of whether or not the original specification of the patent was valid was left to another trial. In the meantime, injunctions were issued against the infringers, forcing their payments of the royalties to be placed in escrow. The trial on determining the validity of the specifications which was held in the following year was inconclusive, but the injunctions remained in force and the infringers, except for Jonathan Hornblower, all began to settle their cases. Hornblower was soon brought to trial and the verdict of the four judges (in 1799) was decisively in favor of Watt. Their friend John Wilkinson, who had solved the problem of boring an accurate cylinder, was a particularly grievous case. He had built about 20 engines without Boulton’s and Watts’ knowledge. They finally agreed to settle the infringement in 1796. Boulton and Watt never collected all that was owed them, but the disputes were all settled directly between the parties or through arbitration. These trials were extremely costly in both money and time, but ultimately were successful for the firm. With McGrigor and his wife Annie, he started to scale up the process, and in March 1788, McGrigor was able to bleach 1500 yards of cloth to his satisfaction. About this time Berthollet discovered the salt and sulphuric acid process, and published it so it became public knowledge. Many others began to experiment with improving the process, which still had many shortcomings, not the least of which was the problem of transporting the liquid product. Watt’s rivals soon overtook him in developing the process, and he dropped out of the race. It was not until 1799, when Charles Tennant patented a process for producing solid bleaching powder (calcium hypochlorite) that it became a commercial success. 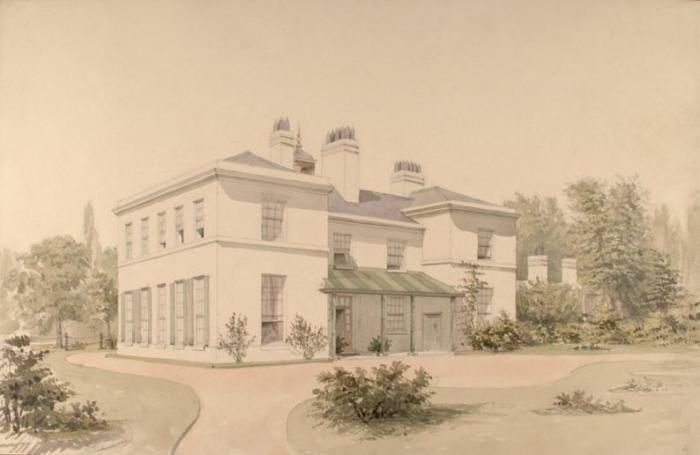 Watt did most of his work at his home in Harper’s Hill in Birmingham, while Boulton worked at the Soho Manufactory. Gradually the partners began to actually manufacture more and more of the parts, and by 1795 they purchased a property about a mile away from the Soho manufactory, on the banks of the Birmingham Canal, to establish a new foundry for the manufacture of the engines. The Soho Foundry formally opened in 1796 at a time when Watt’s sons, Gregory and James were heavily involved in the management of the enterprise. In 1800, the year of Watt’s retirement, the firm made a total of 41 engines. Watt retired in 1800, the same year that his fundamental patent and partnership with Boulton expired. The famous partnership was transferred to the men’s sons, Matthew Robinson Boulton and James Watt. Longtime firm engineer William Murdoch was soon made a partner and the firm prospered. Watt continued to invent other things before and during his semi-retirement. Within his home in Handsworth, Staffordshire, Watt made use of a garret room as a workshop, and it was here that he worked on many of his inventions. Among other things, he invented and constructed several machines for copying sculptures and medallions which worked very well, but which he never patented. One of the first sculptures he produced with the machine was a small head of his old Glasgow university friend Adam Smith. He maintained his interest in civil engineering and was a consultant on several significant projects. He proposed, for example, a method for constructing a flexible pipe to be used for pumping water under the Clyde at Glasgow. Watt died on 25th August 1819 at his home “Heathfield” in Handsworth, Staffordshire (now part of Birmingham) at the age of 83. He was buried on 2nd September in the graveyard of St Mary’s Church, Handsworth. The church has since been extended and his grave is now inside the church. Given the fable about Watt and the kettle, I though I’d give some hints about cooking in an electric kettle. I’ve had to do this when I lived in hotels/hostels in China and Myanmar when I wanted quick cheap meals. 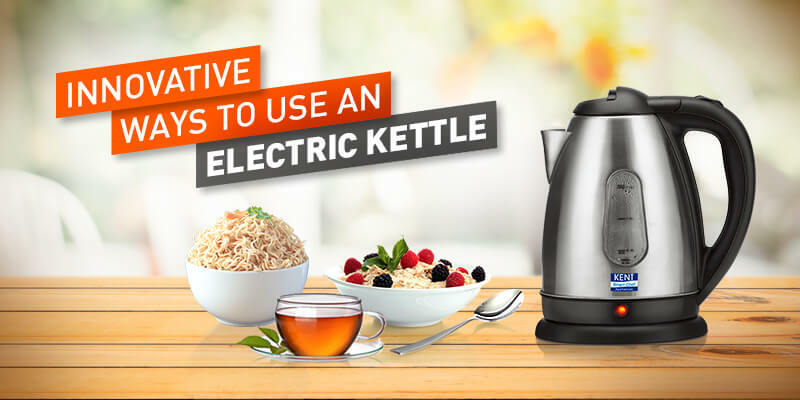 Obviously, you can use an electric kettle simply to boil water for instant noodles and the like, and I’ve certainly done that, but that is not what I am talking about – I am talking about cooking in the kettle. If your imagination does not stretch beyond boiling water in the kettle you can at least dress up instant noodle soups with items you can get at any local store (in Asia, that is), such as packaged sausages, dried shrimp, preserved vegetables, and quail eggs. If you are going to cook in the kettle itself you need a place to wash it out, and, preferably, two kettles – one for cooking and one for boiling water. Residual spices in the kettle, even washed out, do not go well with your morning tea – or in my case yerba mate. If you can find one, the best kettles for cooking in do not have an automatic off switch when the kettle boils. Off switches constantly interrupt the boiling process, especially because you cannot immediately turn the kettle back on when it clicks off. You have to wait for the thermostat to cool enough to click it back on, so your cooking temperature is always going up and down. Unless you have a lot more patience than I do, you are not going to want to cook dried beans or lentils in an electric kettle. But vegetables are just fine, and you can easily make a wonderful vegetable soup by chopping up your choice – Chinese cabbage, mushrooms, leeks, bell peppers . . . whatever, using some stock powder as a base. Throw in some dried shrimp or pickled vegetables for added flavor if you want. You can also make decent pasta dishes, as long as you cook the smaller kinds – penne, farfalle, elbow macaroni, etc. When the pasta is cooked, drain off the water, and dump in your sauce, give it a good stir and heat for a minute or two. Anything you can cook in a small saucepan in about 20 to 25 minutes, you can cook in an electric kettle. Trust me – I have a lot of experience. I lived in Asian hostels for 2 years. 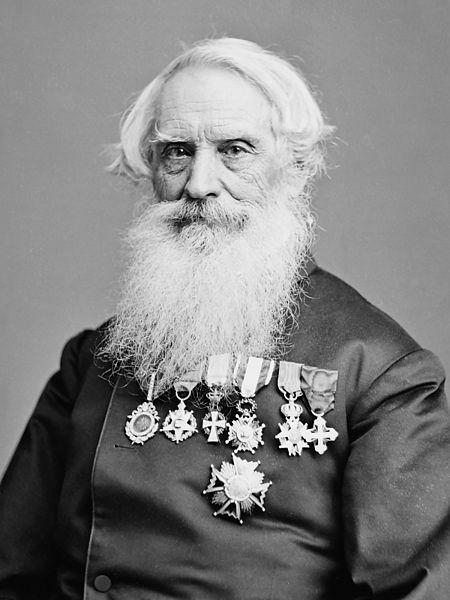 On this date in 1840 Samuel Morse filed US Patent 1,647, “Improvement in the mode of communicating information by signals by the application of electro-magnetism.” It was the first in a string of patents filed by Morse that made effective telegraphy a reality. There were a number of other people in the game at the time, but Morse’s system (working with several collaborators) as well as his code for transmitting messages (also worked on with others) was the one that ultimately triumphed. Morse, because of the code that bears his name, will forever be associated with the telegraph, but he actually had a well established career as a painter before he switched, midstream, to the communications field. Many of his portraits and classical images enshrining the political values of the young nation had earned him national fame, and were commissioned for public display. He worked professionally full time as a painter from around 1808 (supporting himself whilst a student at Yale) to 1825 (and part time until 1837). 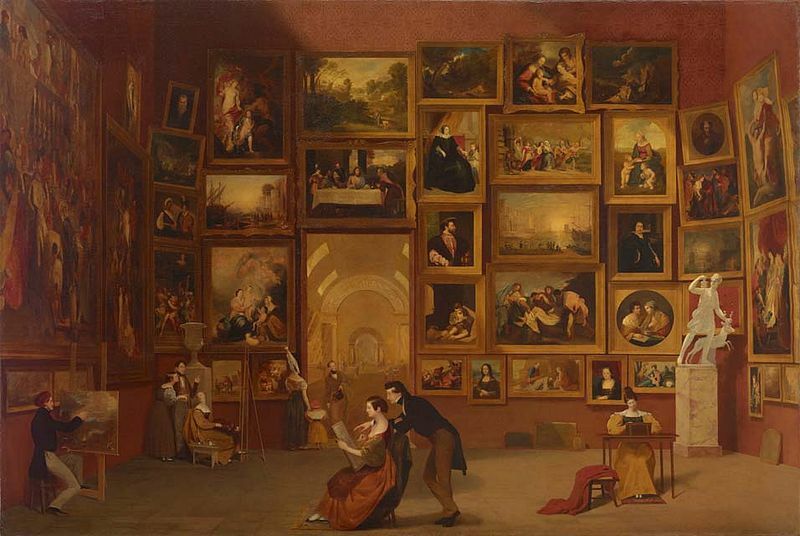 In 1825, the city of New York commissioned Morse for $1,000 to paint a portrait in Washington of Gilbert du Motier, marquis de Lafayette (a general under George Washington in the Continental Army). While Morse was painting, a horse messenger delivered a letter from his father containing one line, “Your dear wife is convalescent.” Morse immediately left Washington for his home at New Haven, leaving the portrait of Lafayette unfinished. By the time he arrived, his wife had already been buried. Heartbroken in the knowledge that for days he was unaware of his wife’s failing health and her lonely death, he moved on from painting to the creation of a means of rapid long distance communication. During the 1830’s there was fierce competition between British scientists (notably Charles Wheatstone, inventor of the English concertina), and Morse to develop a commercially viable telegraph system. The British team filed patents and opened telegraph lines several years before Morse, but their system had two drawbacks: they could not transmit over very long distances, and their use of electromagnetically controlled needles to point to letters on a dial was cumbersome. 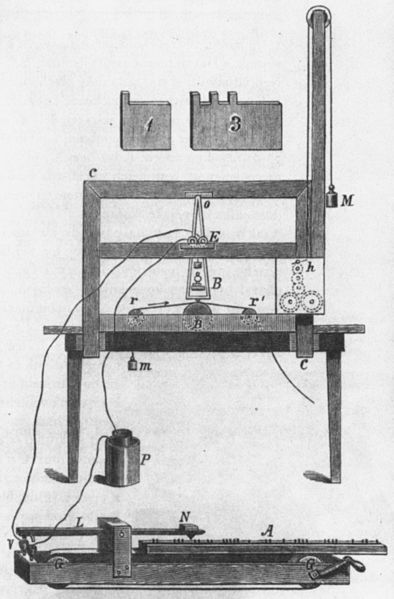 Morse understood that the use of a single telegraph wire with a single battery had severe limitations because the resistance in the wire weakened the signal over distance. With the assistance of chemistry professor Leonard Gail (and, later, researcher and backer Alfred Vail), Morse developed a line that used battery powered relays at frequent intervals along the line to continually boost the signal. In theory such a system had no distance limits. In addition Morse’s team developed transmitting and receiving keys. At first the keys read punched tape strips at one end, and punched identical tapes at the other end using a code of dots and dashes. But when it was discovered that the punching/receiving key emitted clicks as it punched the tape, the tape was abandoned in favor of the audible clicks. Initially Morse had difficulty getting federal funding to support his work, so he set up a number of demonstrations, the most impressive of which occurred on May 1, 1844, when news of the Whig Party’s nomination of Henry Clay for U.S. President was telegraphed from the party’s convention in Baltimore to the Capitol Building in Washington. Subsequently Morse traveled extensively in Europe and Latin America to promote his telegraph and to apply for patents and, in turn, received international fame. It was only in Britain that his system was rejected in favor of the older use of electromagnetic needles. In time, however, the Morse system and the Morse code became, and remain, international standards. Morse spent a great deal of the next 30 years both promoting his system and defending himself legally against endless patent infringements at home and abroad. However, he lived comfortably despite receiving only a fraction of his due financially. It is also notable that he was honored more abroad than at home. The photo above, taken by Mathew Brady in 1866 shows him wearing from his right to left — top row: Nichan Iftikhar (Ottoman); Order of the Tower and Sword (Portugal); Order of the Dannebrog (Denmark); Gold Medal of Art and Science (Württemberg); Gold Medal of Science (Austria); Order of Saints Maurice and Lazarus (Italy). Bottom row: Order of Isabella the Catholic (Spain). A United States honor is conspicuous by its absence. My recipe to celebrate Samuel Morse is a bit of a cheat, but only a bit of one. There’s not a whole lot you can cook with dots and dashes. But Morse’s invention was made possible by the huge strides being made in electromagnetism in general at the time. The electromagnetic spectrum ranges over all manner of waves including visible light, X-rays, radio waves . . . and microwaves. I tend not to use a microwave oven for much more than rapid defrosting of frozen foods and reheating leftovers. But a microwave, with a little ingenuity, can produce excellent dishes. Here is a recipe for salmon that is superb (akin to the dishwasher recipe in my post on Dalí: May 11). The only catch is that the power of microwave ovens varies so much that to get this recipe right will require a bit of experimentation with times and intensities. Fortunately there is a fair degree of latitude. It is very important that the parchment cooking pouch is tightly sealed before cooking to prevent the escape of moisture. When chilled, the cooking liquids make a delectable aspic. -… — -. / .- .–. .–. . – .. – (I had to learn Morse Code in the Boy Scouts – you’ll figure it out. Hint: the first word is a giveaway). Lay a large sheet of baking parchment into an 8 inch (20 cm) square glass dish. Lay the salmon on the parchment and brush it with melted butter. Pull up the sides of the parchment, shaping it into a bag. Pour in the lemon juice and vermouth, and sprinkle with salt and pepper. Arrange the dill sprigs on top of salmon. Close the bag tightly, folding the top pieces over each other several times, but keeping as big an air pocket inside as possible. Microwave for 20 minutes on medium/high (high is too intense). Leave the package to rest for 20 minutes. DO NOT unwrap the salmon. Let the package cool to room temperature and then refrigerate it for 12 hours. Unwrap and serve the salmon over lettuce leaves. Garnish with parsley sprigs, lemon and cucumber slices. Note: If you do not have baking parchment you can use 2 thicknesses of waxed paper.